Clarty Sough are Geoff Convery & Jim Hancock. 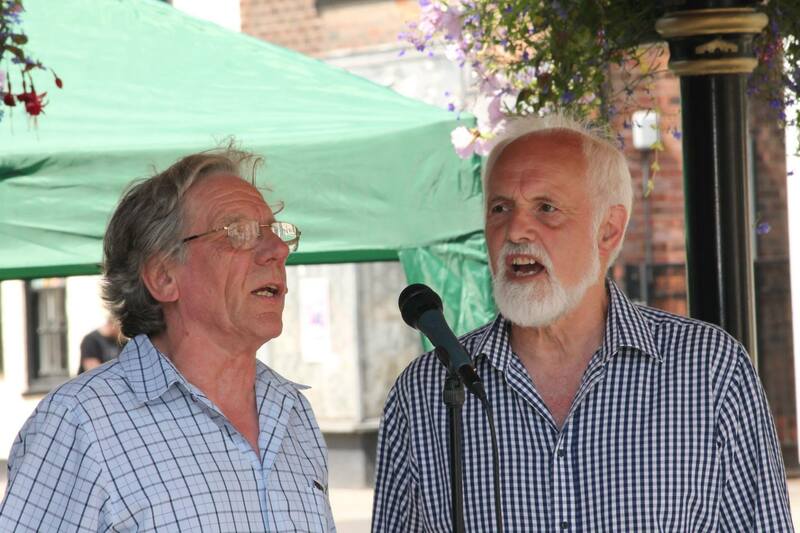 Both have a reputation as fine singers of traditional song and song writers of repute, with songs such as "The Traction Engine", "All to Build a Railway" and "Nights Like This" regularly heard around the folk clubs and their compositions sung and recorded by other performers, including, Witney Gin, John Conolly, Roy Clinging, Pegleg Ferret, Jim Mageean, Pat Needham & Steve Hindley. You can expect a wealth of fine songs ranging from the comic to the tragic. Whether it be gentle love songs or rollicking sea shanties or good old fashioned rousing choruses Clarty Sough delight in singing the heritage of these islands from their own inimitable perspective. Clarty Sough are also twice winners of the Radio Lincolnshire Folk Songwriters of the year award and runners up on several occasions.